Our furry friends who live (most of the time) at the top of the Rock are perhaps Gibraltar’s most famous inhabitants. 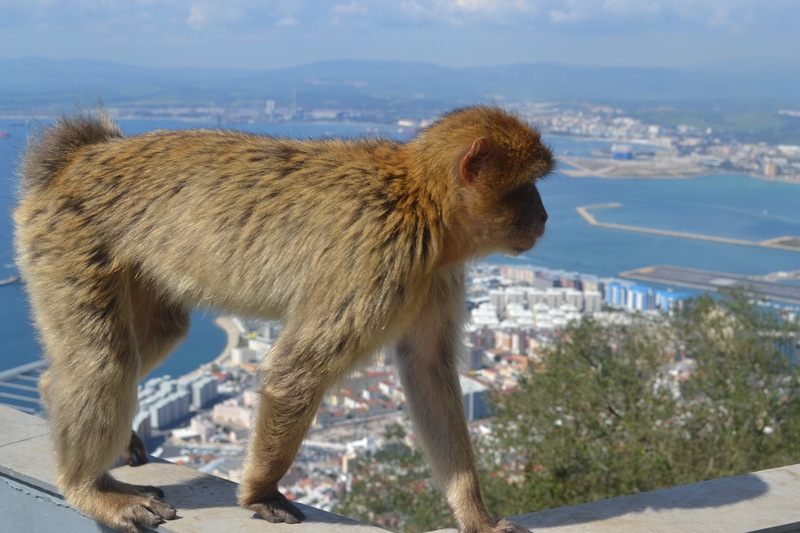 They’re the only wild apes in mainland Europe and rumoured to be the reason why Gibraltar remains British – legend has it that if the apes were to leave, the UK would lose Gibraltar. (Winston Churchill reputedly imported some extra ones during World War II to make sure the Rock remained under the British flag). 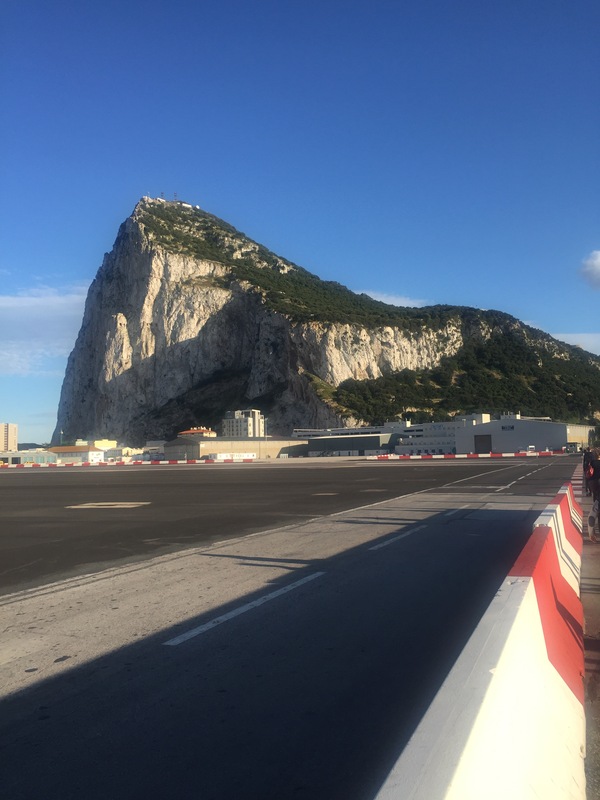 Legend also has it that they first arrived on the Rock via tunnels which link Gibraltar to northern Africa… not too sure about that one! 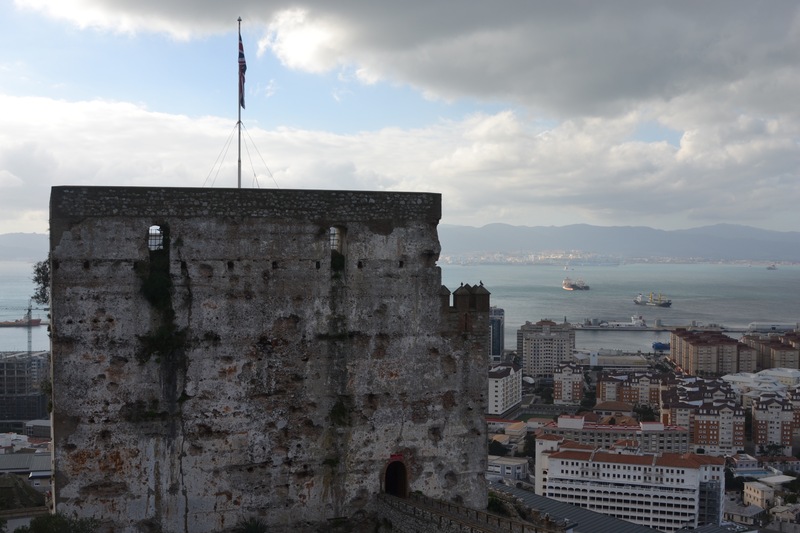 Gibraltar has only one land border to the north of the territory and shares it with Spain. 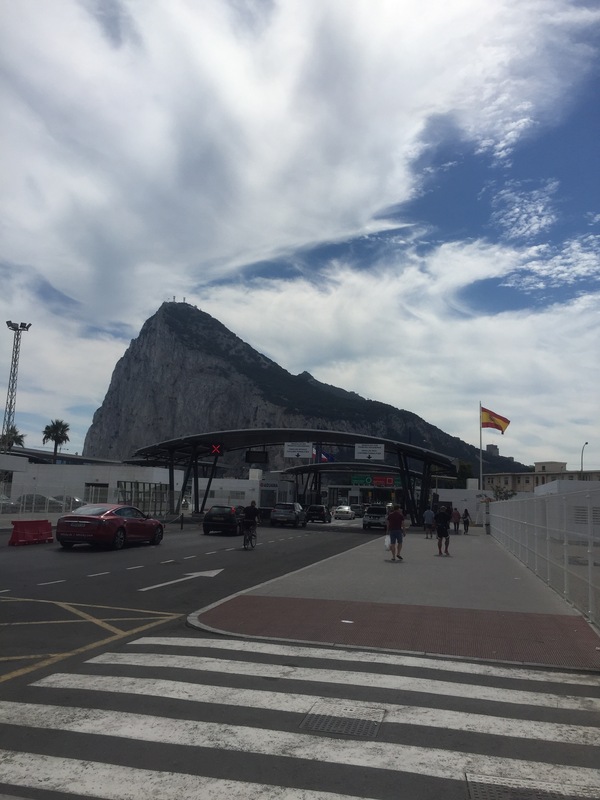 It is across this border (or Frontier as it’s also known) that thousands of Spanish residents travel to work in Gibraltar each day and also which Gibraltar residents cross to access Spain and rest of the European mainland. Under the Franco regime the border was closed between 1969 and 1985. 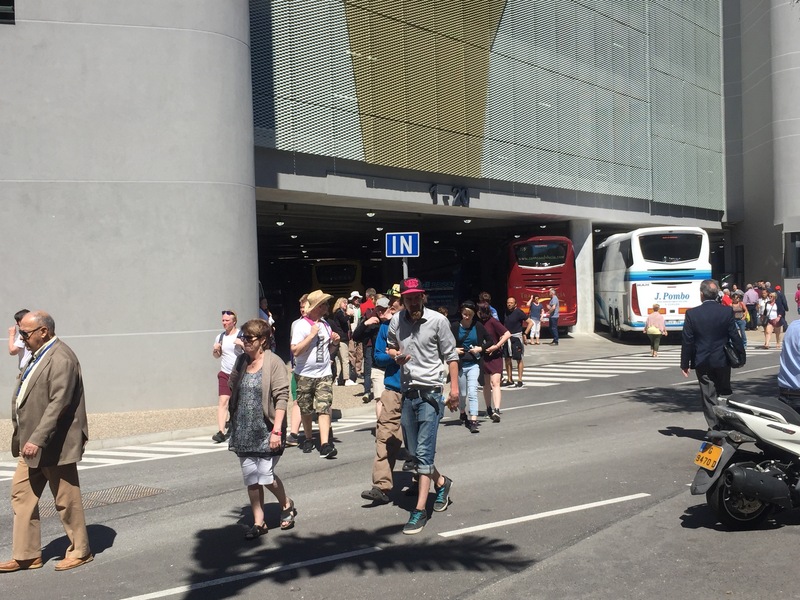 Gibraltarians found themselves with lots of vacant jobs to be filled as the cross-border workers were no longer able to work here and resources like food and fuel had to be sourced via alternative means. During this period, the Rock’s relationship with Morocco flourished and resulted in the diverse community we now enjoy today. 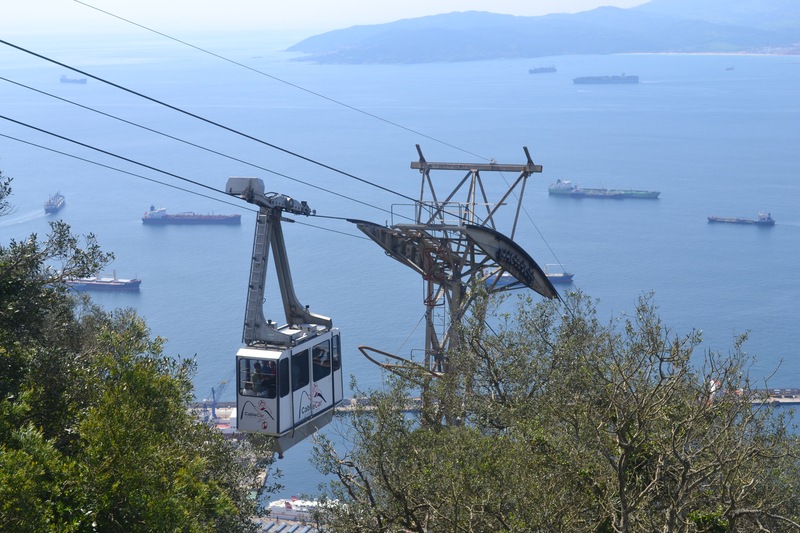 Gibraltar’s main tourist attraction is the Rock itself and there are a number of different ways of getting to the top, on foot and by car or taxi, but perhaps the most dramatic way (and certainly the fastest) is by cable car. It has been a feature on the Rock for decades and takes just six minutes from the base station to the summit. 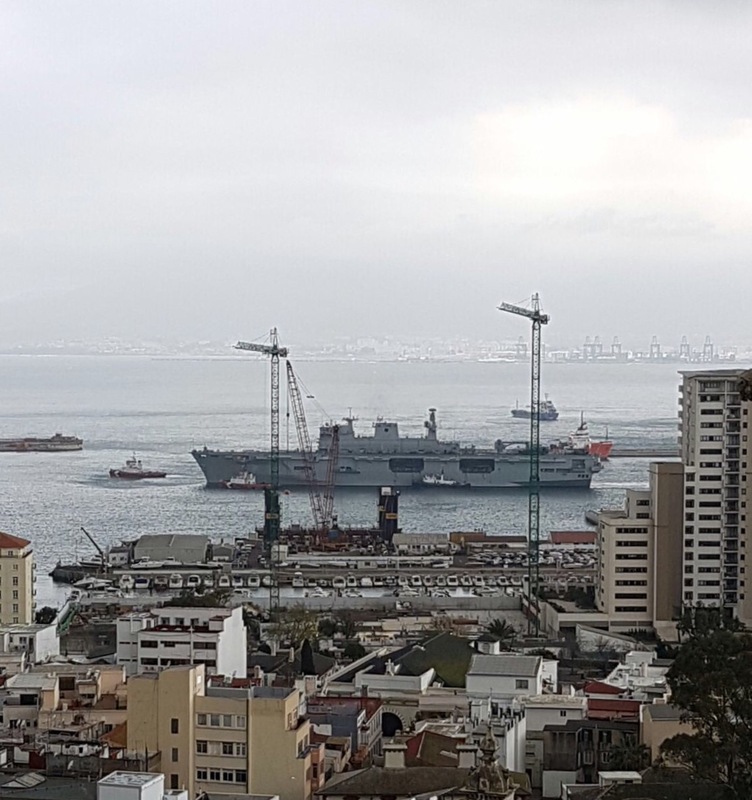 Due to it’s strategic position geographically at the gateway to the Mediterranean, it’s no surprise that Gibraltar has been a key British military base. Though fewer service personnel are based here now than in it’s heyday, there is still a considerable Army, Navy and RAF presence on the Rock. 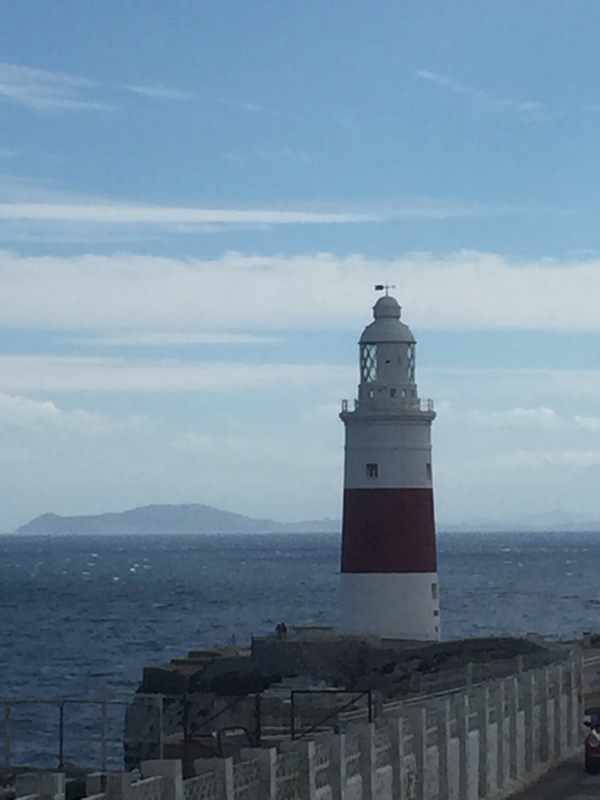 At Gibraltar’s southern most tip, you can find Europa Point lighthouse, the only lighthouse to be operated by Trinity House which is outside of the British Isles. It’s been keeping watch over the Strait of Gibraltar for over 175 years. On a clear day, you can see across the Strait to north Africa and the Rif mountains of Morocco. 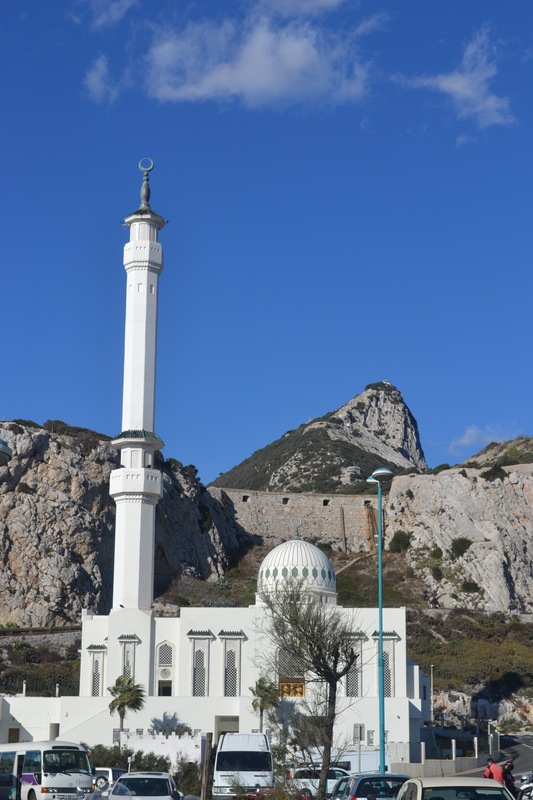 Europa Point is also home to Gibraltar’s largest mosque (the Ibrahim-al-Ibrahim Mosque) as well as the Roman Catholic Shrine of Our Lady of Europe. 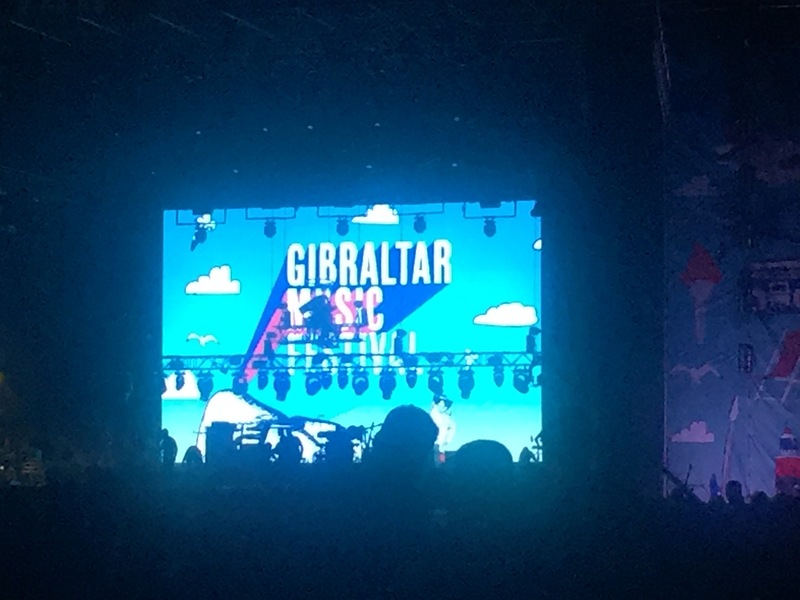 In recent years Gibraltar’s cultural life has flourished with the creation of a number of festivals, the biggest of which is the Gibraltar Music Festival or GMF as it’s become known locally. 2017 will see the festival run for the first time by MTV. Other musical festivals include the Festival of Colours and the World Music Festival. 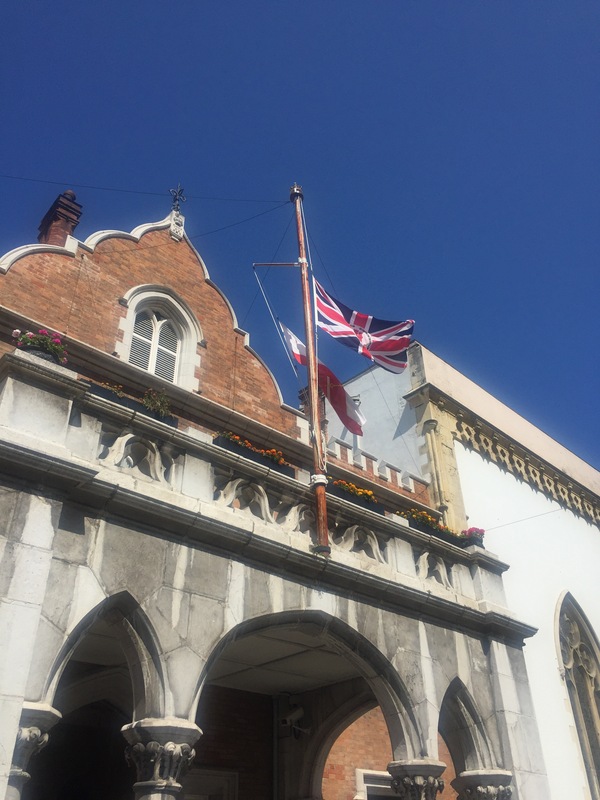 In addition to music another large annual event is the Gibraltar Literary Festival. 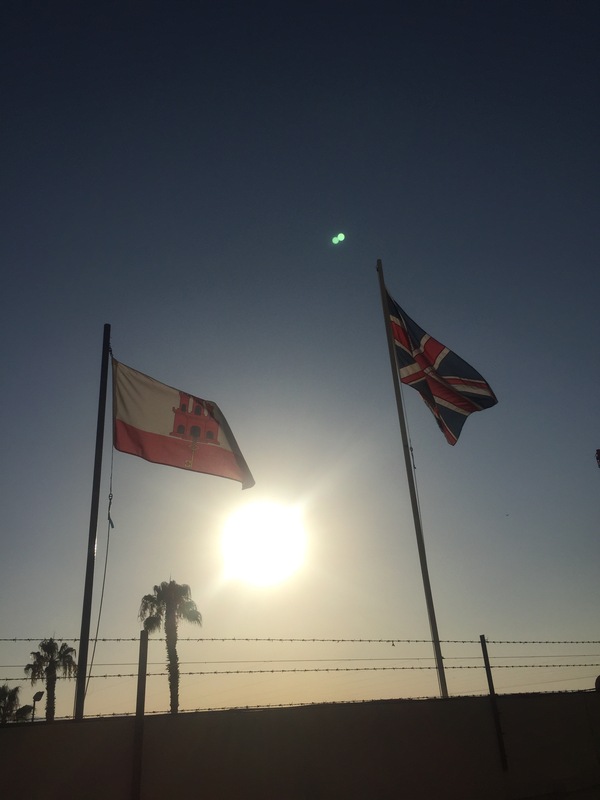 Although key defence and strategic decisions about Gibraltar are made in Westminster, day to day affairs on the Rock are looked after by Government of Gibraltar. We also have a Governor, who is the Queen’s representative here. Our current Governor, Lieutenant General Ed Davies, like all his predecessors lives in the official residence known as The Convent. 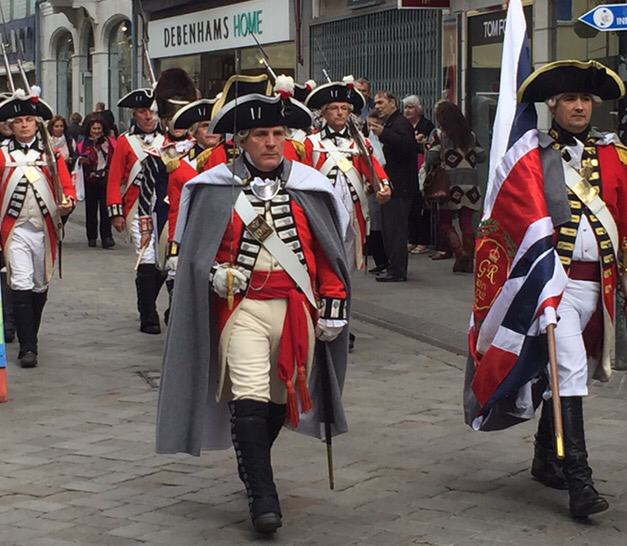 Gibraltar is steeped in history, from cave men to the Phoenecians, Moorish invasions and the Great Siege. Gibraltar is filled with historic buildings and sites. There’s even a weekly historical reenactment. 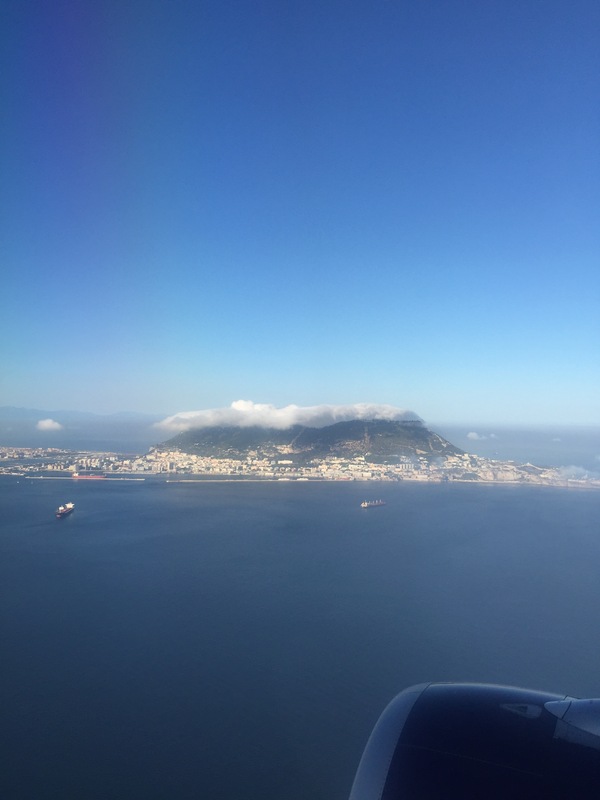 Despite popular misconception, Gibraltar is not an island. It is an isthmus of 5.8 square kilometres. If you are looking for a diverse and challenging 10k route to run, Gibraltar is the place for you, it’s exactly 10km all the way round on the main roads. 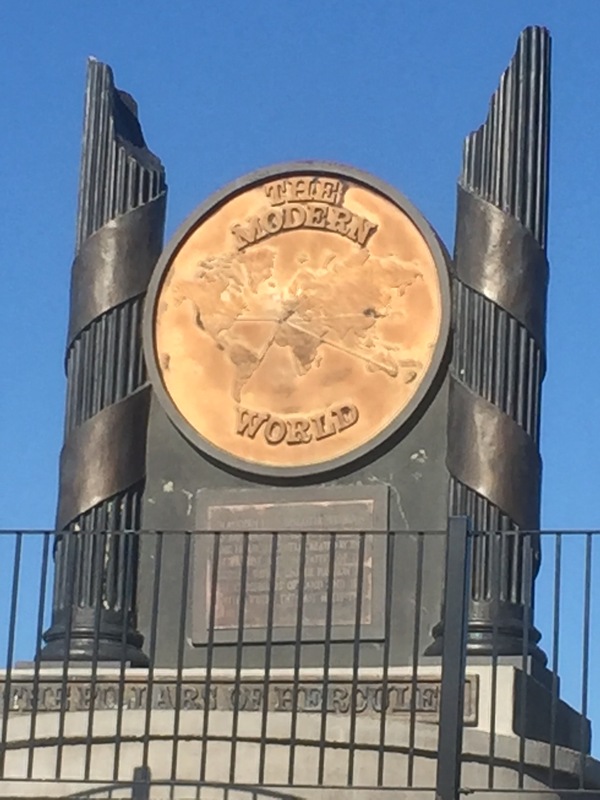 Gibraltar is regarded as one of the Pillars of Hercules, Jebel Musa across the Strait in Morocco being the other one. The name Gibraltar is believed to have come from it’s Moorish name of Jebel Tariq, meaning Tariq’s Mountain or Tariq’s Path. Tariq lead the Moorish Invasion of Andalusia. Irrespective of your views on beauty pageants, Kaiane Lopez (née Aldorino) achieved something remarkable for Gibraltar. In 2009, was crowned Miss World. She was a great ambassador for Gibraltar during her year-long reign and has continued to fly the flag for the Rock ever since. 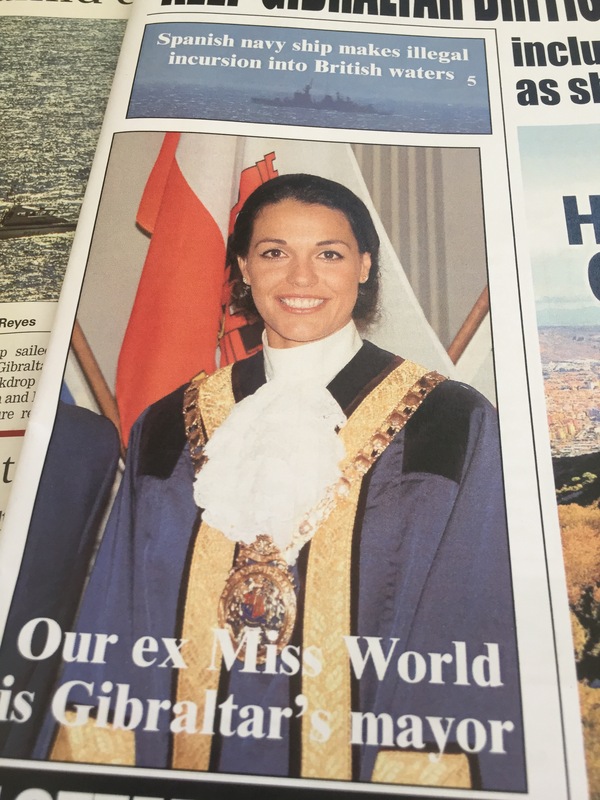 Yesterday she became the youngest ever Mayor of Gibraltar as well as being the first ever Miss World to take mayoral office. Gibraltar boasts a great climate, healthcare modeled on the NHS, schools which follow the UK system and a thriving community. Plus everything is within a short distance so activities/entertainment especially for children are more achievable than our experience in the UK. 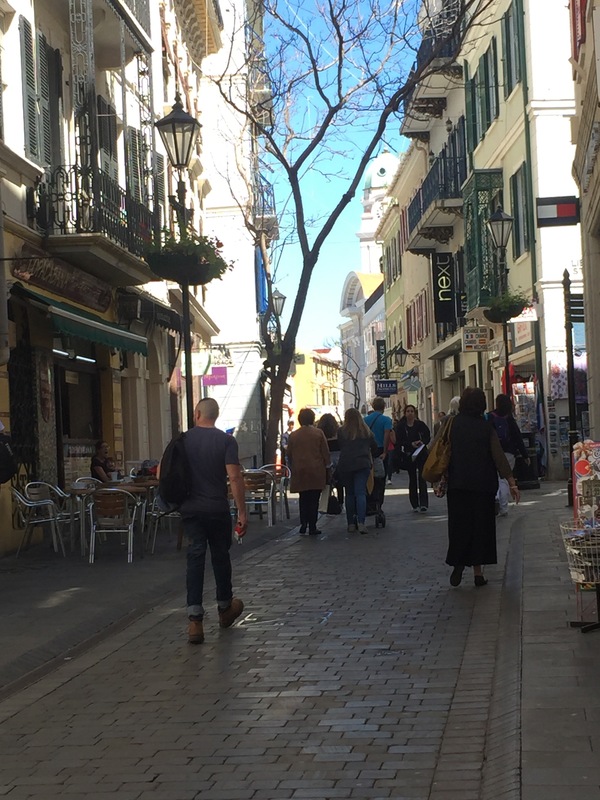 As an ‘incomer’ I’ve had a really positive experience living here and was welcomed by locals and expats alike. 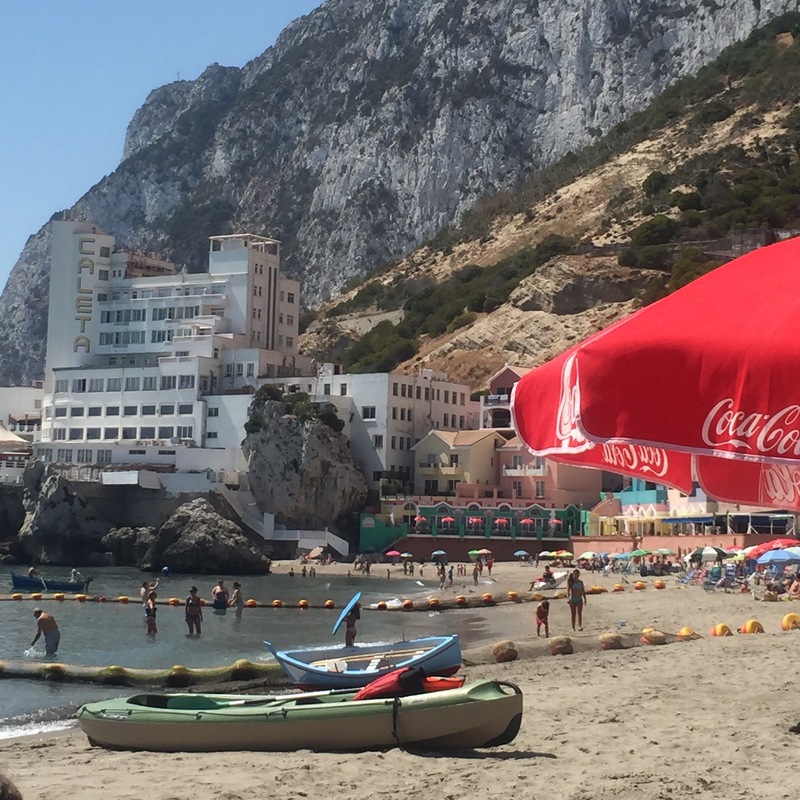 ﻿The Eastern side of the Rock is lapped by the tides of the Mediterranean Sea and the three Mediterranean beaches we have on the Rock are hugely popular in summer (Gibraltar has other beaches on the Western side too). The first Neaderthal skull ever to be found was discovered at Gorham’s Cave in Gibraltar in 1848. 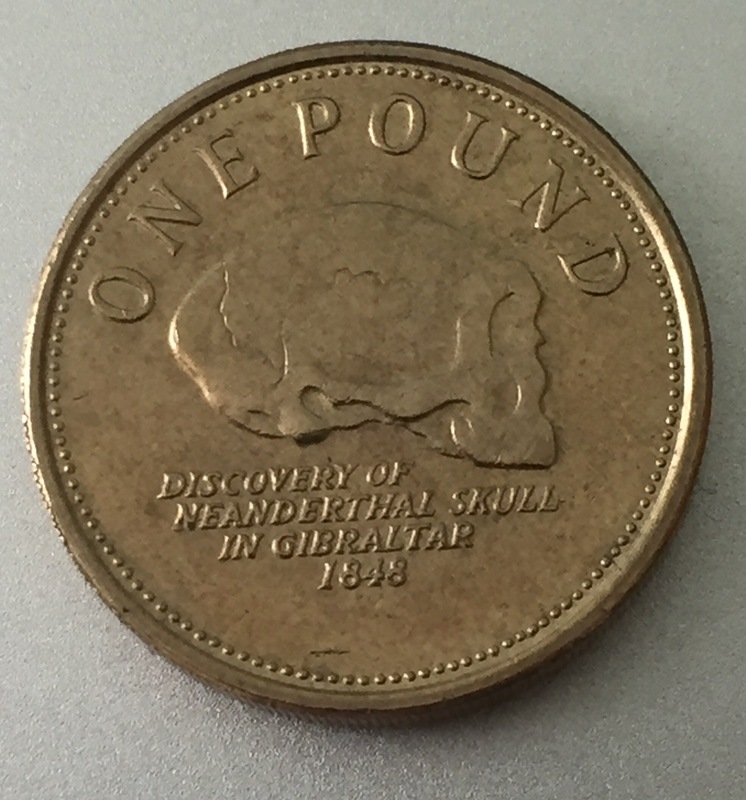 The find, which is celebrated on Gibraltarian pound coins, has led to Gibraltar recently being granted UNESCO World Heritage status. A hot spot for twitchers, Gibraltar is a haven for wildlife and, in particular, migratory birds. 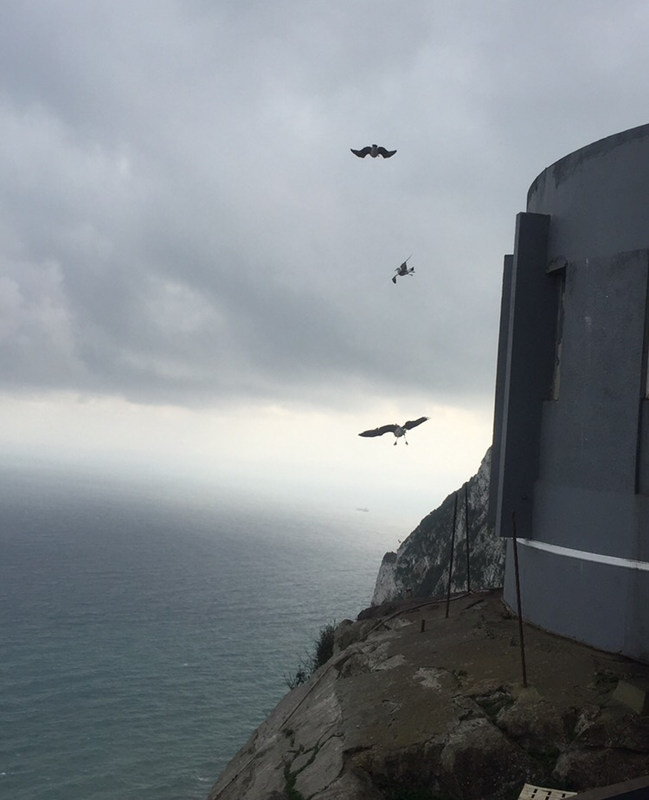 Volunteers from the British Trust for Ornithology travel to Gibraltar to study the migration of birds from the southern hemisphere where they have over wintered, up to northern Europe and Russia. Vultures, and eagles can often be spotted along with other smaller birds. 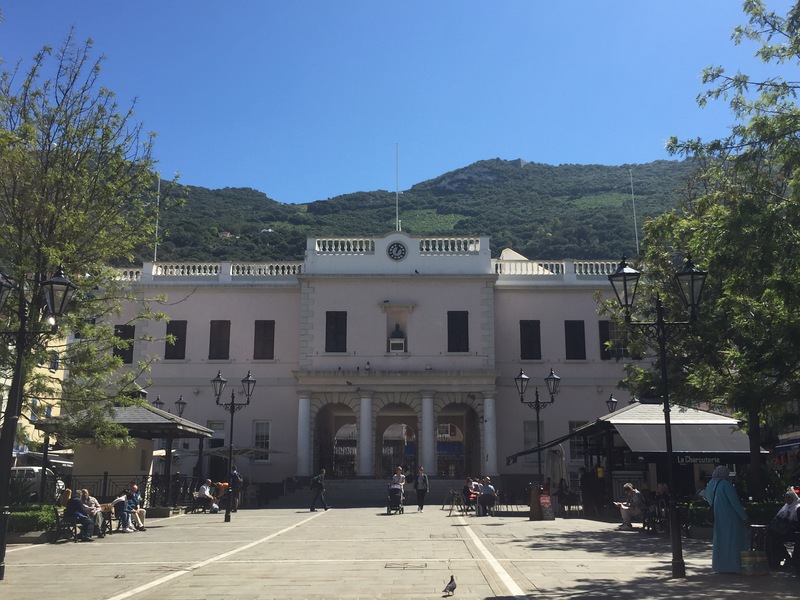 Gibraltar has long been a stop off for seagoing travellers, from the Phoenicians who dropped anchor here before setting off into the Atlantic and up as far north as Cornwall. 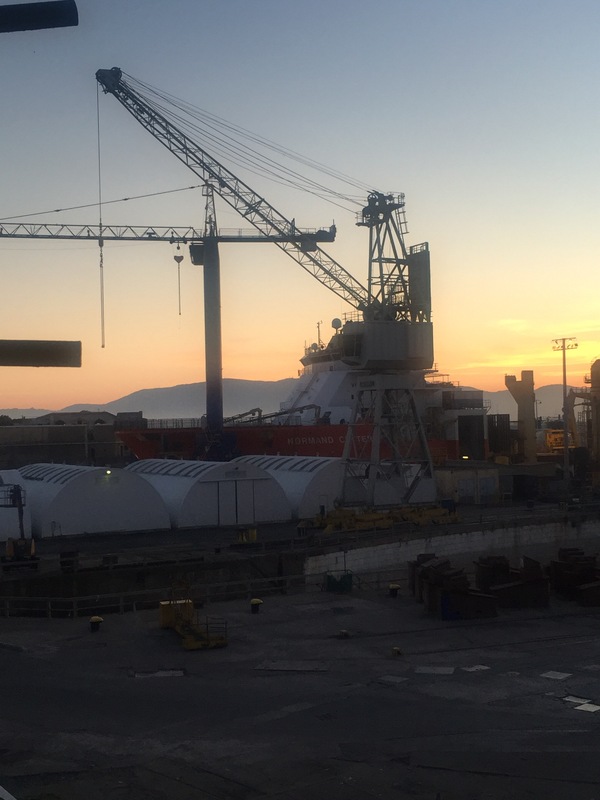 These days Gibraltar’s marine trade includes dry docks for maintenance, as well as bunkering services for ships which are mid voyage. 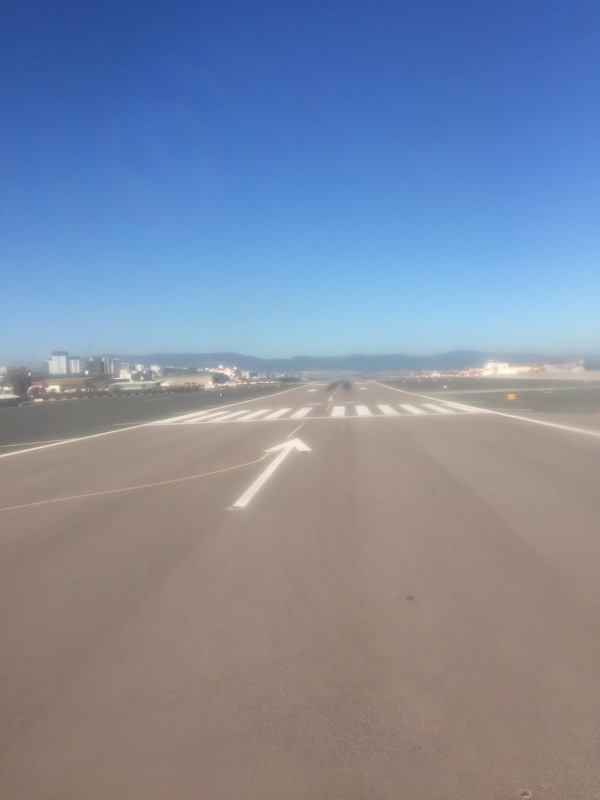 We do spend quite a while in queues here in Gibraltar at times, especially if you choose the wrong moment to cross the runway – you can get stuck waiting for planes to land or take off. 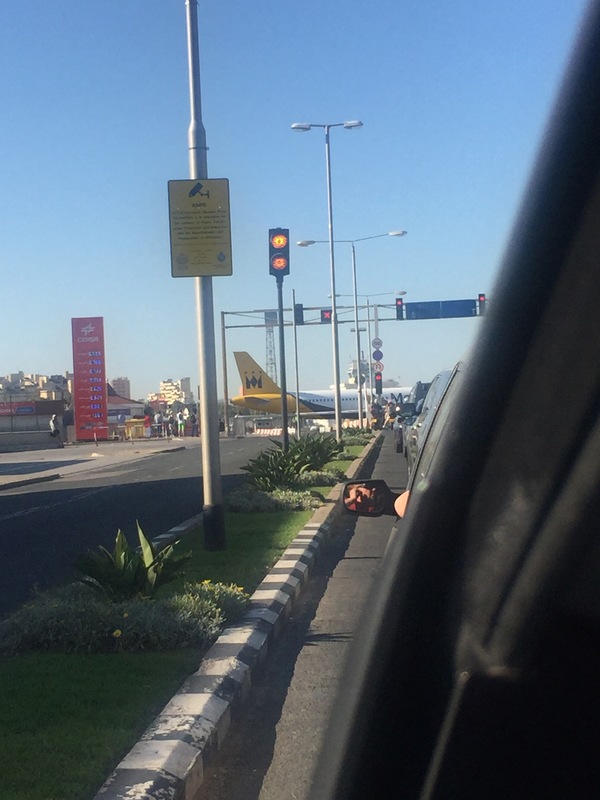 We also have to queue to enter and leave Gibraltar at the border with Spain, which can at times be problematic. Thorough checks by the authorities across the border can mean long waits in rather uncomfortable conditions (like the height of summer) at it’s worst it can take several hours to cross. Gibraltar Airport is famous for it’s stunning backdrop and for the fact that the main road to and from the Rock runs straight across it. It makes for an interesting commute to work for those who live over in Spain! 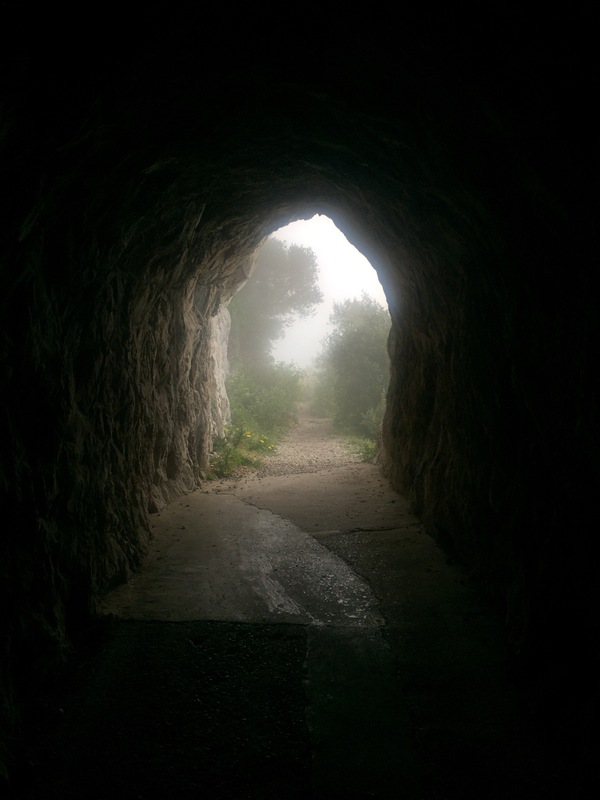 The Rock of Gibraltar itself is full of holes, with natural caves and manmade tunnels carved through it. 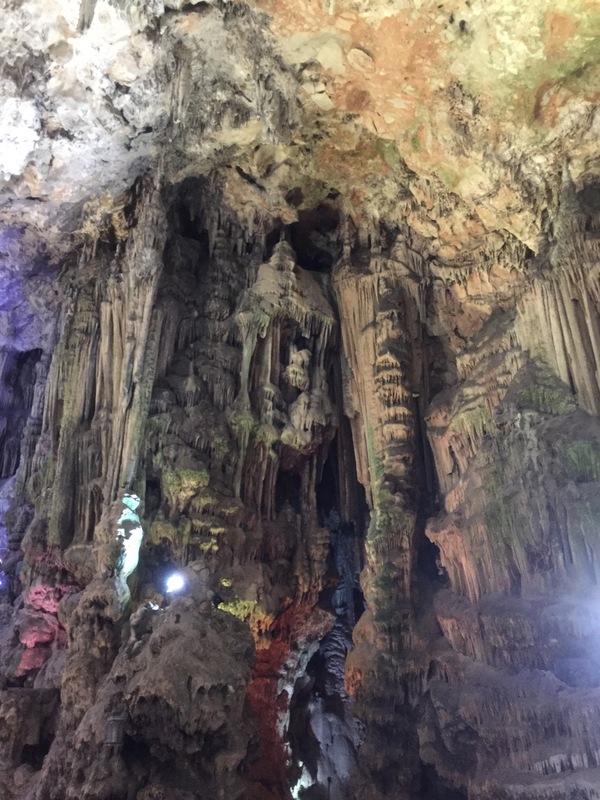 The largest and perhaps most dramatic of which is St Michael’s Cave which as well as being a popular tourist destination is also a venue for shows and concerts. 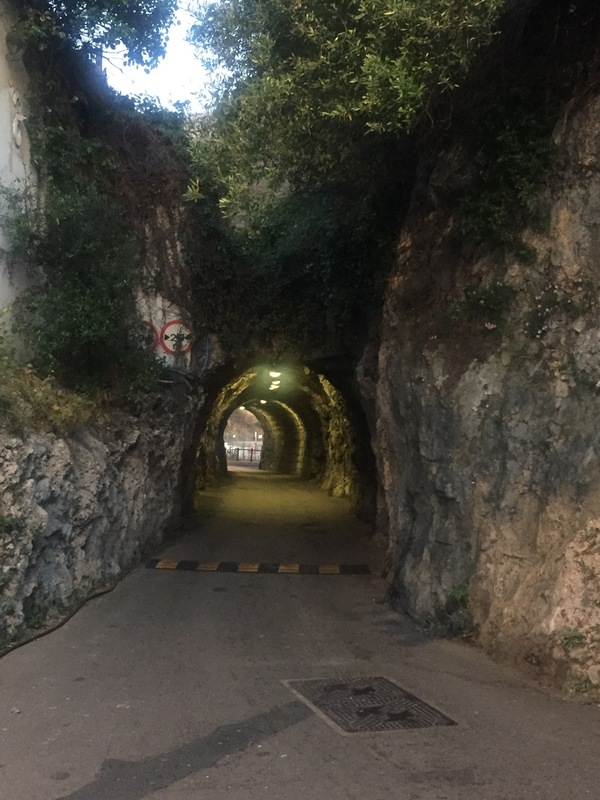 In order to get around the Rock we need to travel through a few tunnels. The World War II Tunnels (which include a war time hospital ward) and the Great Siege Tunnels are popular tourist attractions. There are miles and miles of military tunnels excavated through the Rock most of which are out of bounds to the public. They are used for military exercises and there was even a plan during World War II for some military personnel to be bricked into a tunnel so they could spy on the enemy in case of an invasion. 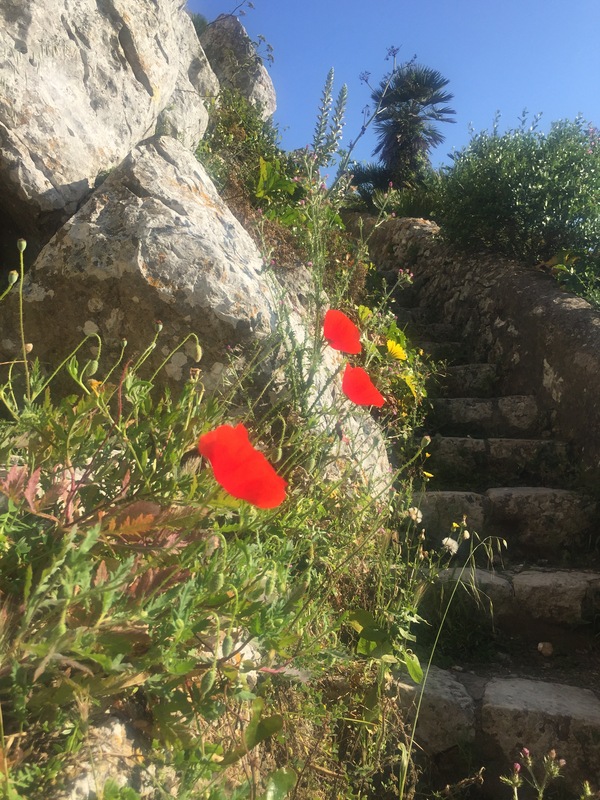 The Upper Rock is a Nature Reserve, home to the Barbary Macaques and other native species like the Barbary partridge and national flowers like the Gibraltar Candytuft and Gibraltar Campion. The Med Steps or Mediterranean Steps to give them their proper name, is a footpath and several sets of steps which lead from the southern tip of the Upper Rock Nature Reserve, at the Pillar of Hercules monument and round the Eastern side of the Upper Rock before emerging at the summit. 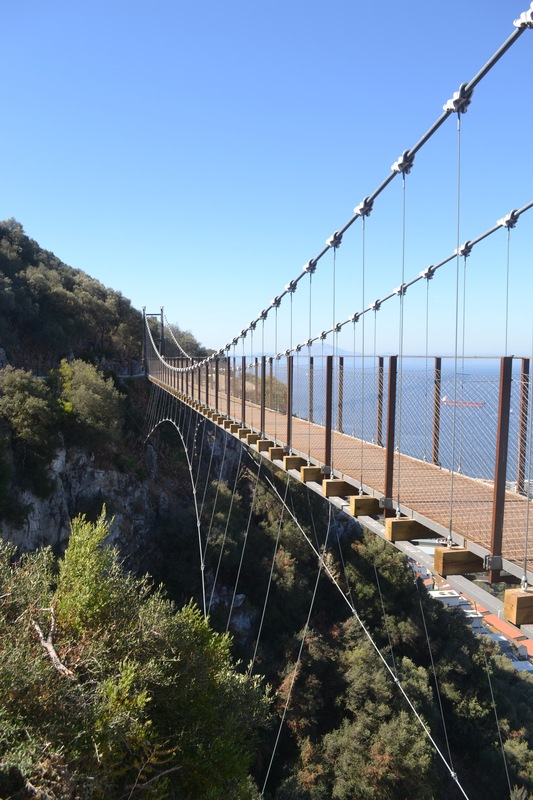 It’s a place of outstanding natural beauty and affords walkers stunning views across the Strait to Morocco, along the Mediterranean coast to Spain and onto the Costa del Sol on a clear day, and across the Bay of Gibraltar to Algeciras. Gibraltar is a very popular destination for cruise liners and coach tours. At peak times in the summer, the population of the Rock can almost be doubled for a day, when several large cruise ships arrive all at once. Those are the times when it’s wise to give Main Street a wide berth, especially if you have small children and pushhairs to steer through the crowds. 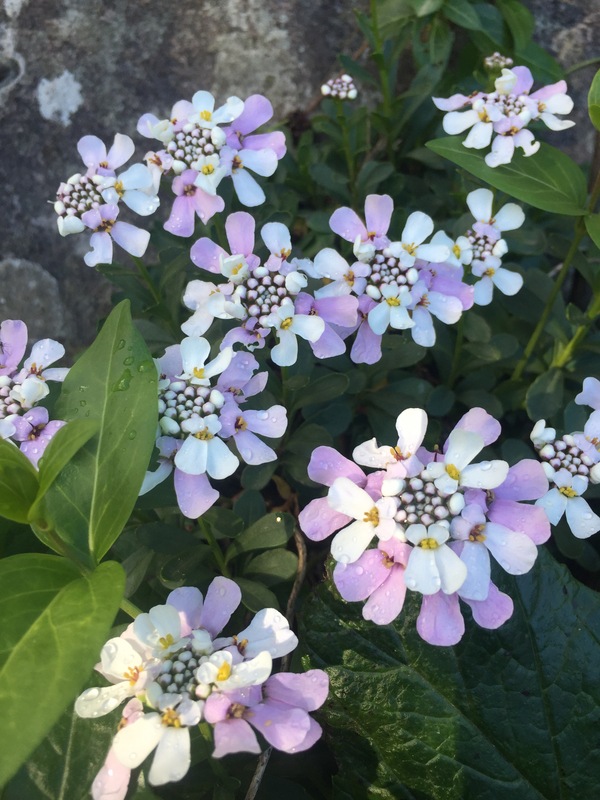 We are blessed with pretty mild winters (although there was some snow a few miles up the coast this winter) and long hot sunny summers. Thankfully because of our location surrounded on three sides by sea we don’t get such high temperatures as they do further up the coast or inland in Spain. 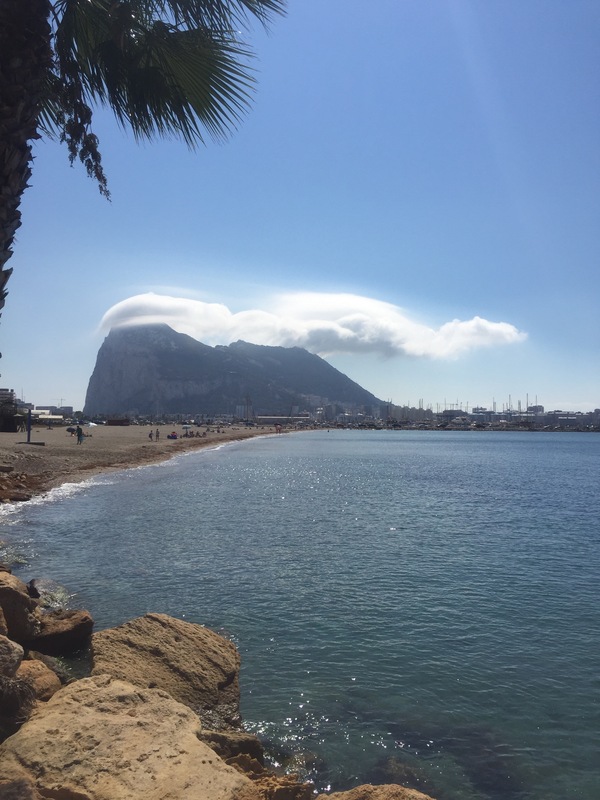 We can get a rather large cloud developing on the top of the Rock called the Levanter. It’s formed by the easterly wind and just sits above us creating humid conditions below. 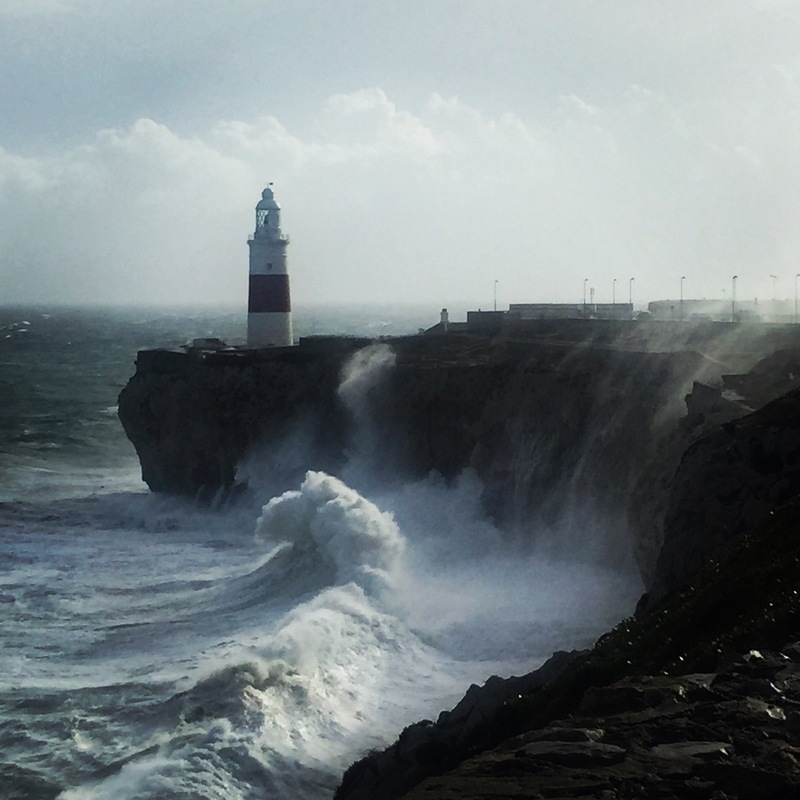 Some people refuse to have their hair done on Levanter days and it’s been blamed for meringues failing to rise and paint from drying properly. Well this is the main reason why everyone’s talking about Gibraltar at the moment isn’t it? 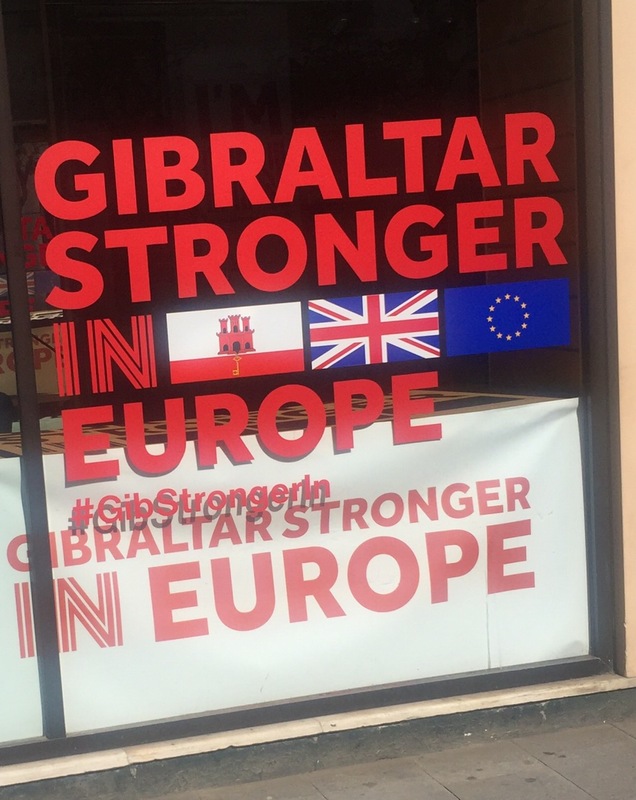 96% of the Gibraltar electorate voted to remain in Europe and no one knows what Brexit will mean for us all here on the Rock (or the UK for that matter). Yanito or Llanito is the dialect which is spoken by Gibraltarians. 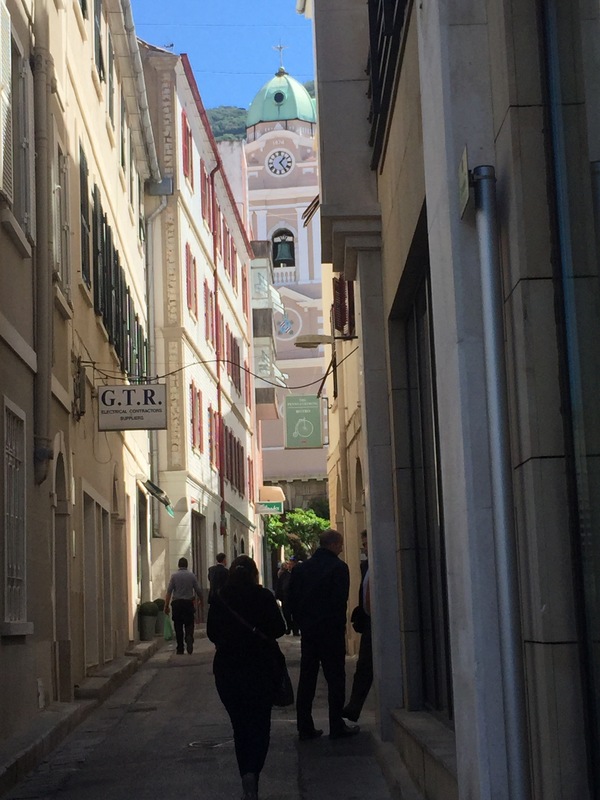 Anyone wandering along Main Street will hear locals speaking a mixture of English and Spanish with a few Genoese or Maltese words thrown in too. 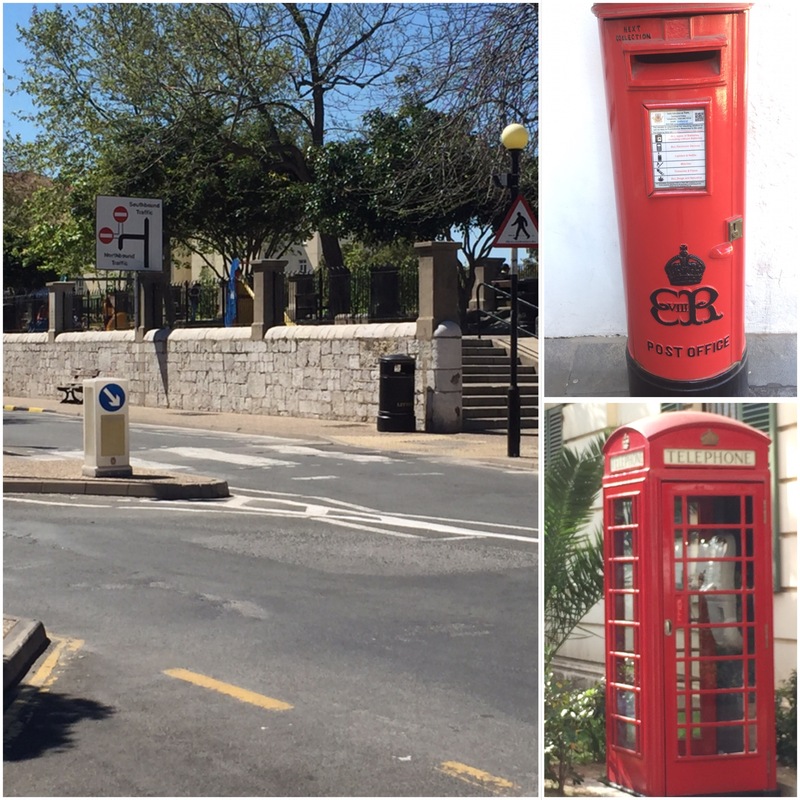 We may live at the very south of Iberian Peninsular and we can see Africa from our windows but there are a lot of familiar British sights around Gibraltar. There are often tourists posing for photos by the phone boxes and and post boxes trying to catch a little of Britain in the Med. I hope you’ve enjoyed this Gibraltar A to Z, if you only take one thing from it, can it please be that Gibraltar’s NOT an island? (I have read two articles today which described it as one) Thank you! Decent read. I’m thinking about writing one. Will be more political. Not apes though. Monkeys. Wells, should teach monkeys peanuts. Or something like that. I am so thinking about my Gib/Brex post. Trouble is, I have other things to do first! Sitting in the Rock Hotel as I read your blog having spent a few days here – interesting times ahead (I’m Scottish so also have the worry about another ‘Independence Referendum’ at home!) 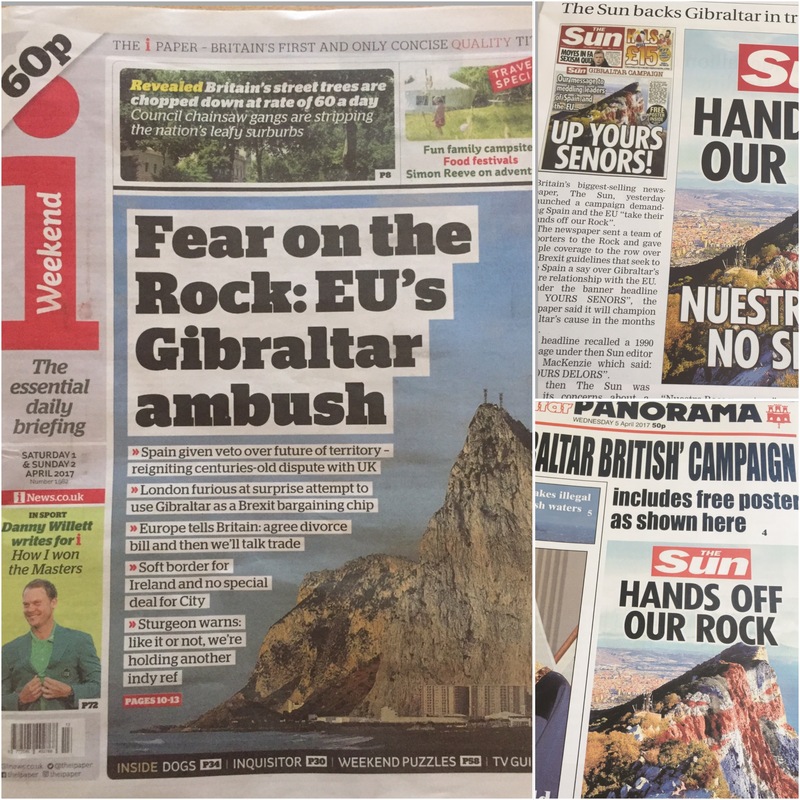 My father was based here at the end of WW2 and I share the Gibraltarians concern about the future – but firmly believe that the UK govt will not sacrifice the Rock as part of Brexit negotiations!! Love your Blog – just makes me want to return more frequently!! So many interesting things on such a small place. Weekly historical reenactment! That’s impressive.